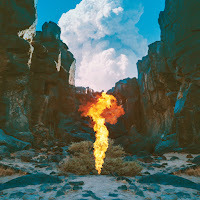 Bonobo is an artist whose name floats around on the lips and tongues of tastemakers and prestigious music media types and has done for years, but prior to now I've never really had the chance to try and connect with Simon Green's music. Heading in to his most recent full length, Migration, I wasn't expecting to love the album a lot but it's definitely a record where you can appreciate the intricacies and craftsmanship involved. It just unexpectedly wasn't for me. And I may or may not have written a little bit more or less on that in my January Library Update which will be up... probably tomorrow. One track I did think was extremely excellent though was 'Kerala'. Originally released back in November, I'm not sure if I heard it then and didn't get it or whether I missed it; either way, I've made it now. 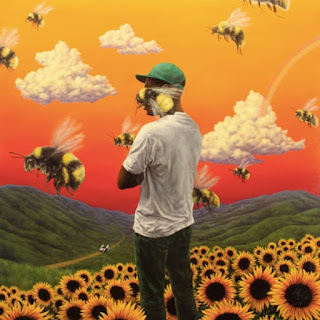 I've never been a fan of instrumental electronic stuff... or instrumental anything really, but just the addition of the vocal sampling on 'Kerala' was enough for me to do a complete 180. In fact, it reminded me a little (in structure, not in sound) of Burial's 'Archangel' which is one of my favourite songs of all time and changed my outlook on electronic music entirely. The more I listen to 'Kerala' the more I think it's ingeniously put together. And if after two and a half months you haven't seen the Bison directed music video, that's definitely worth a watch too. A really simple idea executed very well. I long to see more music videos that really incorporate the song like the video for 'Kerala' does.